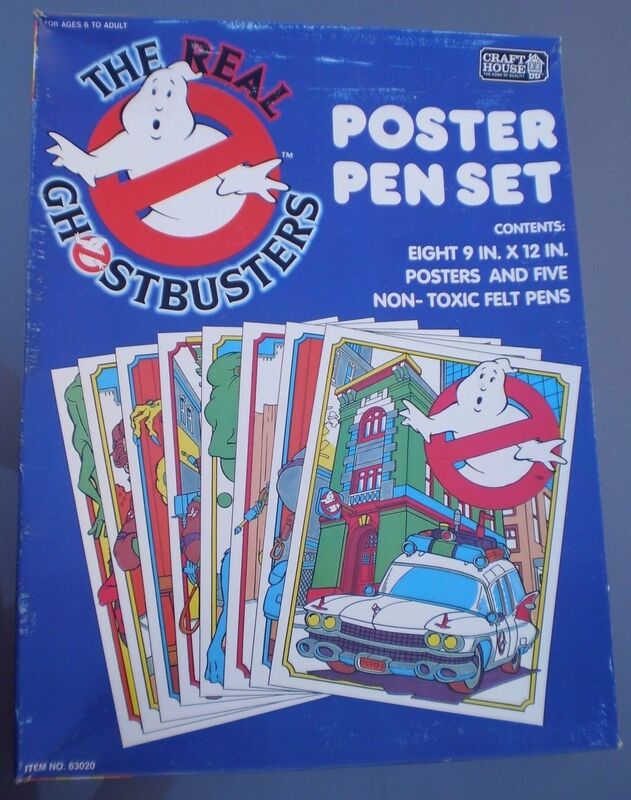 Not exactly Halloween-relevant, but I just couldn’t wait when I saw these. So much gold. 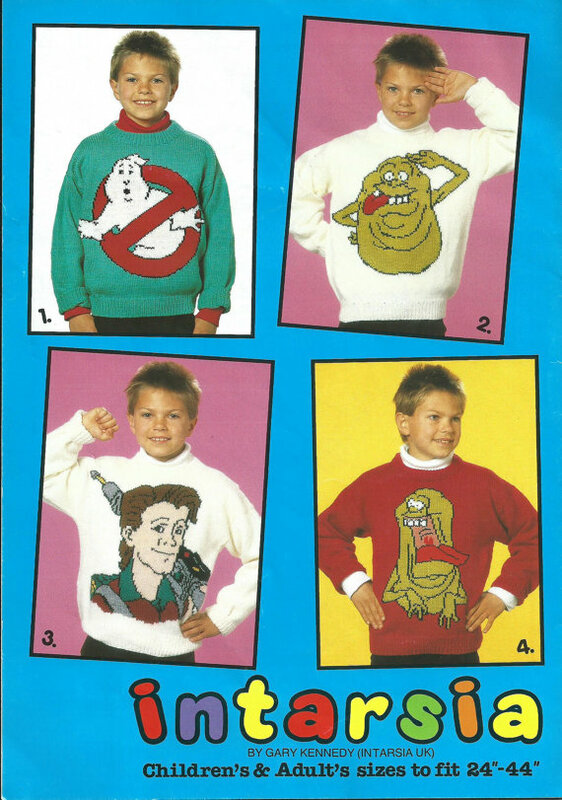 That poor Ghostbusters kid. I hope he made enough money for some Nintendo games. 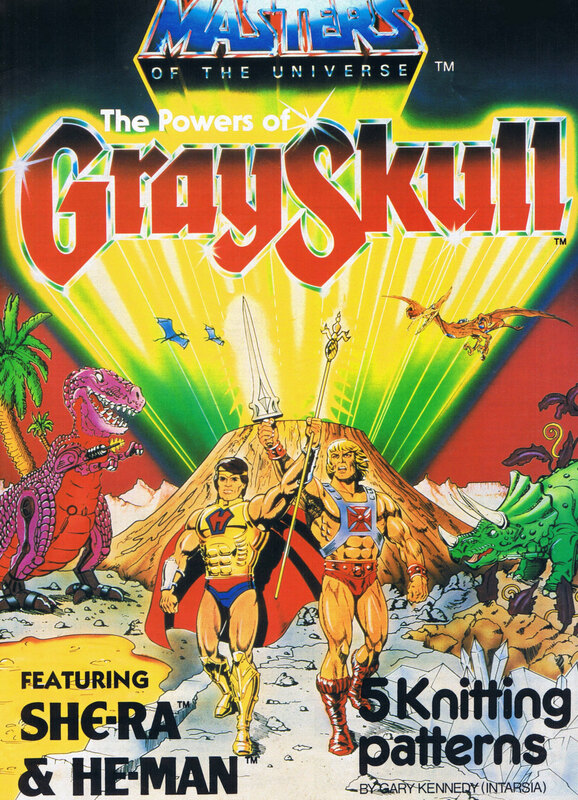 The Powers of Grayskull was supposed to be a 1987 Masters of the Universe spinoff, but the forces of justice prevailed, and we were not forced to endure another round of idiotic characters with names like He-Ro, who happens to be the guy standing next to He-Man. Not sure what’s going on with all the dinosaurs, and not sure why the designs have nothing to do with the cover of the product. 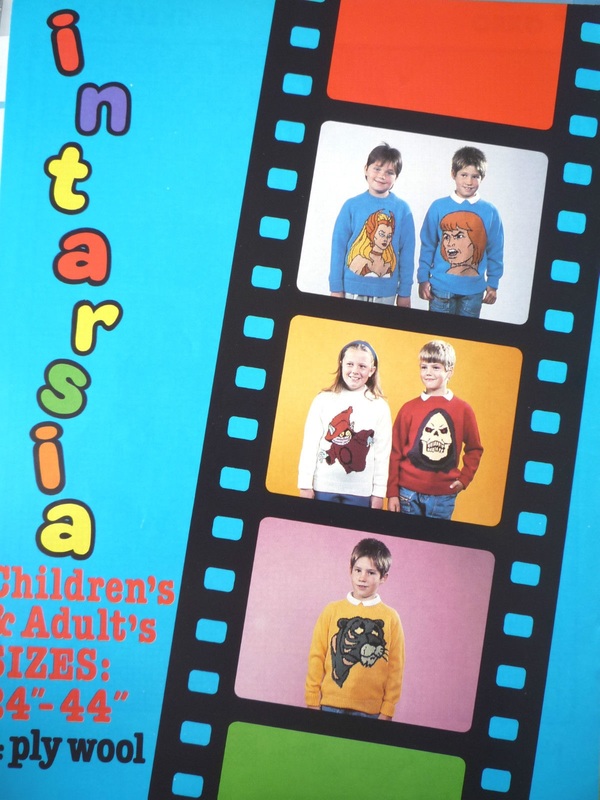 The Cringer sweater is the best. The slime is extra. 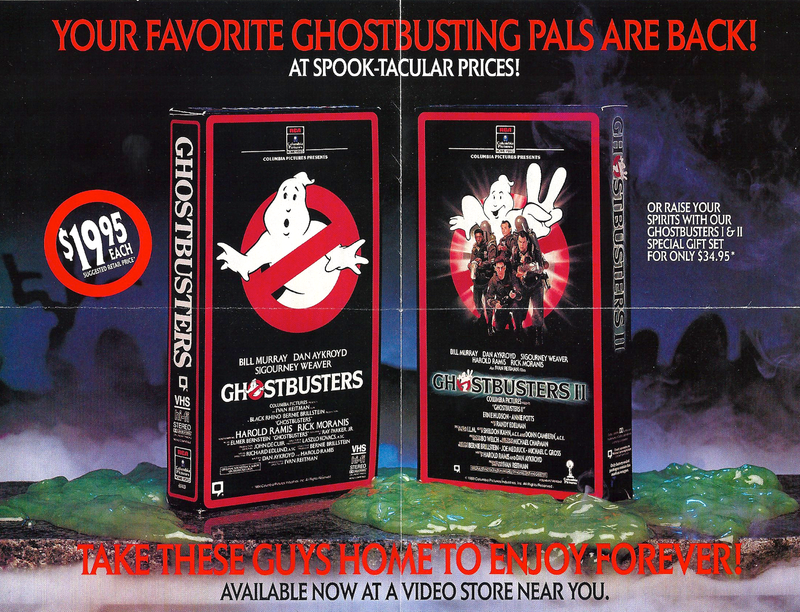 Via Ecto-Containment. 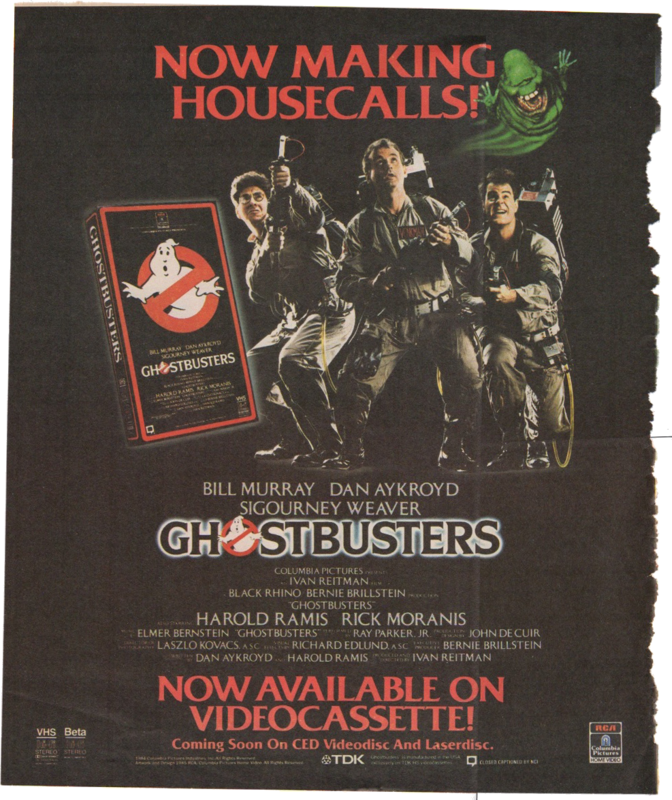 In fact, Ghostbusters set a record for first-day sales (400,000 units), beat the following year by Rambo (425,000 units), although both Beverly Hills Cop and Star Trek III, also priced at $29.95, went on to beat Ghostbusters in total year sales. 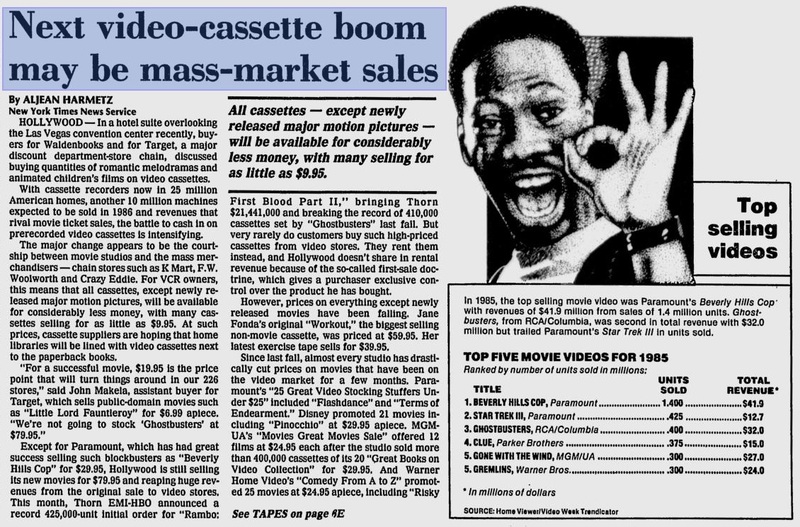 Check out the February 1986 Gainesville Sun article below for some interesting figures. Yet another format made popular by Star Wars, it was well in decline by this time. 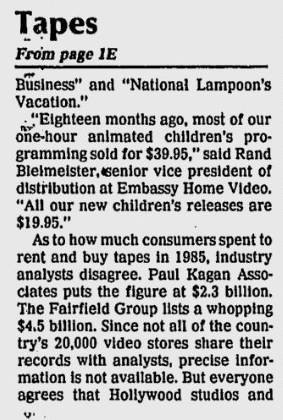 Kids were too busy making stuff on computers. 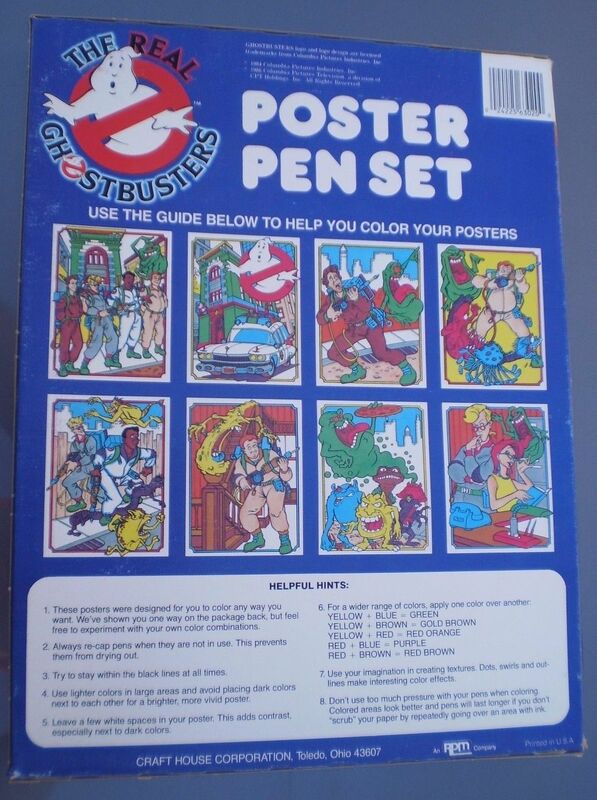 The last poster pen set associated with a major franchise/film may have been Jurassic Park (1992). There was also a Star Trek: The Next Generation set that came out around the same time. Very clever. 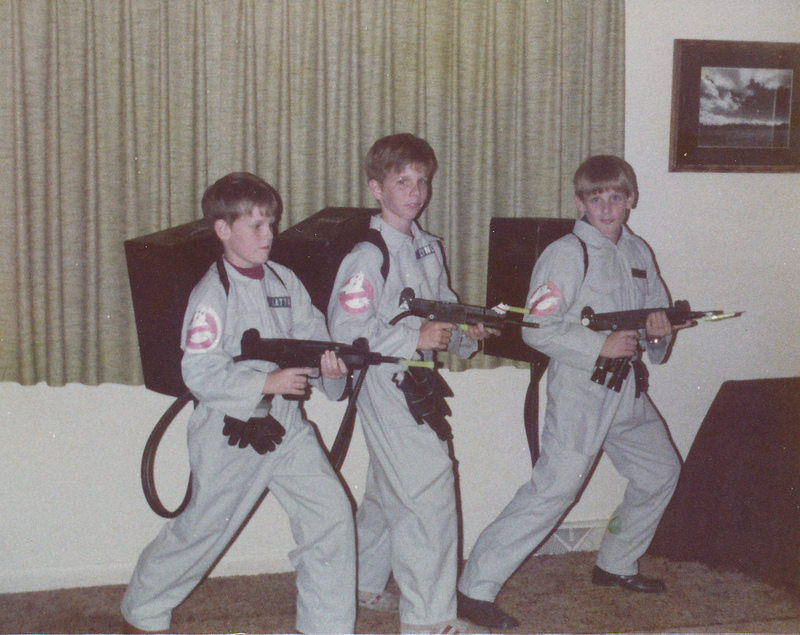 I can’t tell what the backpacks are made of, but the proton guns are Uzis. The kids’ names are sewn on the uniforms. 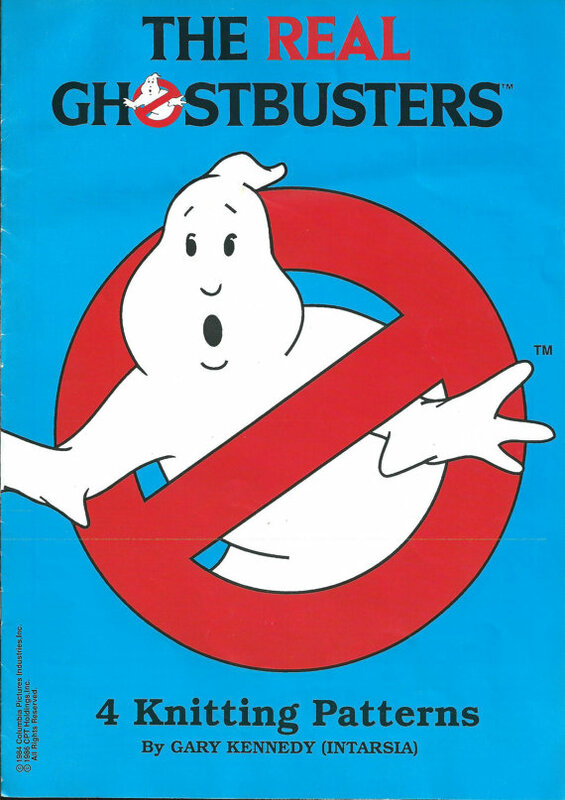 The costumes were built with a pattern that had come out during that year for costumes. The backpacks were simply spray-painted cardboard boxes with shoulder straps. However, a special opening at the top allowed people to drop candy inside, so we could have theoretically mopped up some serious candy because the boxes could hold a lot. While we never got a photo of the rear of the backpacks, my brother designed the outside with all sorts of hoses and accouterments so it would have a “wow” factor that made it look very fancy and techie. The Uzis were just the standard toy gun from K-Mart that you could buy at the time. Through standard rubber hoses, they were then attached to the backpack. We Are the Mutants is Here! All original content is © 2012 - 2016 by the respective authors. Image and video files are used for educational and entertainment purposes only, and are property of the respective copyright holders. If you own the copyright to any of the material on this site and would like said material to be removed, please contact 2warpstoneptune [at] gmail [dot] com.